This is such a great question because I know so many people are in this exact situation. In fact, before Mike and I got together, my finances were in the same state. I was in over my head with credit card debt, and my paycheck just didn’t cover all of my payments each month. Most of my credit cards were maxed out, my student loans were in forbearance, and my checking account was frequently overdrawn. Every now and then my cell phone would get disconnected, which was embarrassing to tell my friends why they couldn’t get ahold of me. I felt like I was on an endless cycle of covering my most past due bills while letting my more current bills slide. 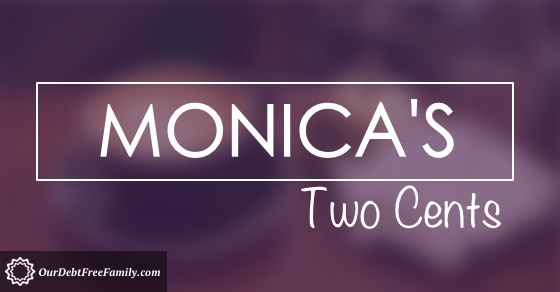 So in this installment of Monica’s Two Cents, I’ll give you the advice I wish I would have received for getting current on your bills first so that you can then pay off your debt and work toward true financial freedom. If you have a question for me, I would love to help! Fill out the form on the Contact page or send me a message via Facebook. Before you follow the steps I’ve laid out below, make sure you’ve done these two things first, and if you’re single, read this post. Once you’re ready to take control, open a blank spreadsheet on your computer or take out a notepad. It’s time to get a clear look at your financial situation and take action. Begin tracking your spending so you know where your money is going. Then write down all of your bills, including utilities, mortgage or rent, and debt. List the payment amounts and payment due dates. I’ve previously written about why you should have a monthly budget, and I’ve also provided step-by-step instructions for creating your monthly budget with a free download of my budget spreadsheet. This is not a set-it-and-forget-it part of the process. You’ll create a new budget each month to account for your changing needs and expenses. Call your past due accounts and explain that you are getting on a plan to get caught up. They may be willing to work with you if they know you plan to pay them. But make sure you get any settlement agreements in writing before you send them a check. And never give them your bank account information. 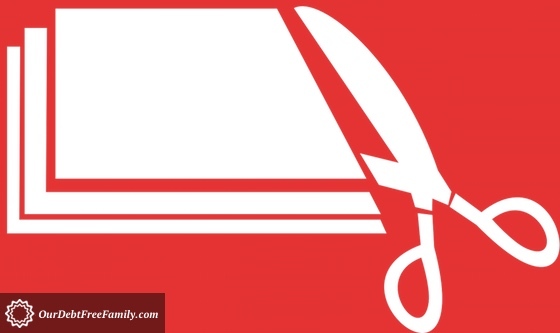 In my post about 20 expenses you can cut from your budget, I list several ideas that may be considered drastic, (including kids activities and internet) and I’ll admit that my husband and I haven’t cut all of them. But if you are behind on your bills, then it’s time to take a hard look at where your money is going. Examine your budget and cut whatever isn’t a true necessity. Here is a link to my posting if you need some ideas. Once you’re current on your bills, you can re-evaluate your budget to see if there’s room to add a few things back in if you’re still able to work toward your financial goals. Once you’ve cut what you can in your budget, try to come up with creative ways to trim your spending in other areas. I’ve come up with 28 simple ways to trim your spending, and I’ve recently written about how we cut our grocery spending in half since January. Take a peek at my ideas and see what will work for your situation. Then add a few more ideas of your own. Set a goal of reducing your grocery spending by $20 or your electric bill by 10% next month. Use the money you free up from cutting expenses and reducing your spending to get current on your bills. Lastly, get creative and come up with ways to boost your income. I’ve shared my best tips for hosting a successful garage sale and other ways to sell your stuff. For example, one great way to sell your stuff is to buy inexpensive items at garage sales and sell them on eBay for a profit as a fun way to boost his income while he paid off his debt. What can you do to generate some extra income? Can you babysit for a neighbor? Walk someone’s dog? Mow some lawns? Are you crafty? If so, try selling some of your creations on Etsy or Amazon. Eventually, through consistent action and dedication to my goal, I was able to get current on my bills, and I successfully paid off all of my credit card debt before Mike and I got engaged. After I paid off my credit card debt, I vowed never to put myself in that situation again. Being behind on bills has to be one of the most stressful experiences to go through in life, but there is a way out. It’s up to you to determine the root of the problem so that you can resolve it and change the course of your financial future forever. For some people, it’s a spending problem. For others, it’s an income problem. For me, it was a little of both. Take action today, and I’m sure that you’ll be able to turn your situation around in no time. Finally, if you’re reading this because you have debt and eliminating small things from your budget just won’t cut it, consider refinancing. There have been a number of good fintech companies moving into the personal loans market recently. 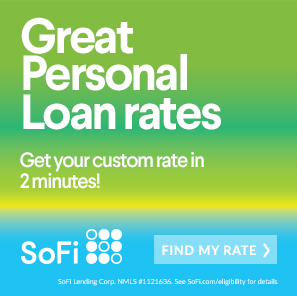 One legitimate company I like is Social Finance (SoFi). If you have debt with 10% interest or higher, they might be able to give you a better rate. Check them out here, or click on the banner below. Fabulous tips! I know a number of people who are or have been in this position and I will definitely forward this onto them! Great stuff, Monica! It’s really cool how you’re incorporating questions directly from readers like this. Keep at it! Solid advice and it was good once again to get insight into your situation before you took control of the debt. With that, what would you say was the tipping point for you to finally take action? Curious! Awesome and doable tips, Monica! Spend tracking for us really changed everything. Once we knew were our money was going each month, we could make the changes needed to turn things around. I recently read how more and more Americans are living in the same situation, so this is wonderful advice for SO many people. Way to tackle a tough topic! I think your tips are all great, but #4 is an important one that I think a lot of people overlook because they don’t think there’s any way to work with their creditors. Thanks, Marlynn! 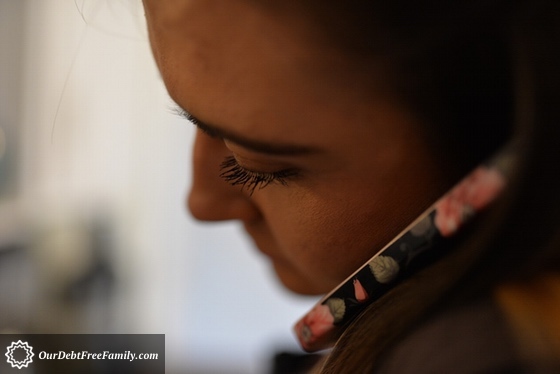 When I was behind on my bills, I mistakenly avoided talking to my creditors. I already felt bad about my situation, and I thought talking to them would make me feel worse. Later I realized that they could have helped me set up a payment plan to get back on track faster. There’s a lot of great information and tips here. I appreciate your emphasis on budgeting to make sure getting behind on bills doesn’t become a bad habit. Budgeting can be tough and requires a lot of self-discipline (especially for me), but it really makes all the difference. Thanks for sharing, cheers! Glad you liked the post, Danielle! I agree — budgeting is a huge part of getting and staying organized with your finances.